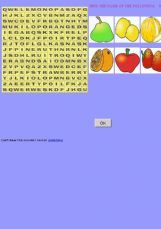 students have to find in the wordsearch the name of the fruit in the picturse. 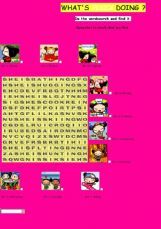 Practice the gerund form with Pucca. Very simple activity. Good to be used with pupils. Very cute!For the Pucca fans like me. A brief test of synonyms. 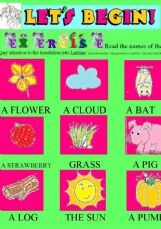 This is a lesson based on Sara Teasdale�s poem "There Will Come Soft Rain." Alliteration, peronification, imagery, and the theme are explained. 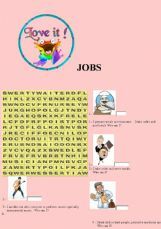 There is also a wordsearch, questions, and some pictures. 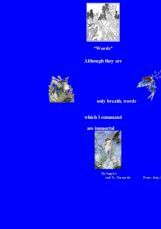 Poetry is the most concise way to say so much with so few words. I can�t get over how wonderful this ancient Greek poem is. Students will learn what lyric poetry is, who Sappho was, and the definition of immortal. 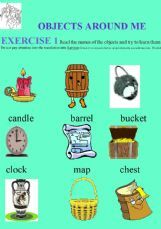 Reading/comprehension and vocabulary review for young learners.